The shade pattern goes this way! Coffee is guarded with the first tier of shade as Dadaps; the second tier as Mandarin Oranges and the third tier as the mighty Silver oaks on which climb the pepper vines. 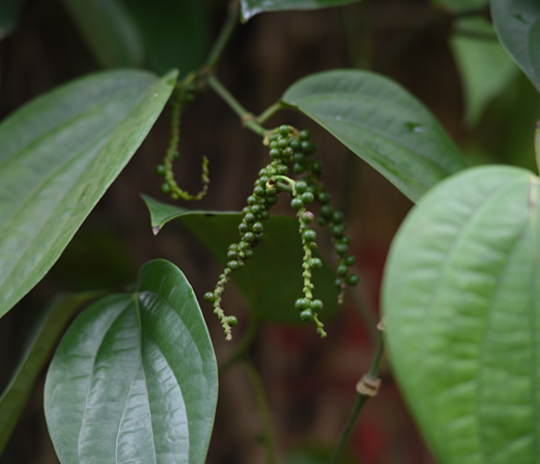 The Dadaps add rich organic content year on year as they are lopped to allow sunlight to grace the coffee plants in the monsoon season enabling it to grow vigorously and produce new secondary and tertiary shoots, which are the fruiting branches. Thriveni Brooklyn Estate is known for its Oranges for decades and there is no parallel to these trees anywhere in the Southern peninsula. In times of crisis it is these Silver-oak’s which help the planter come out of his troubles from time to time, thinning them initially to permanently felling them. 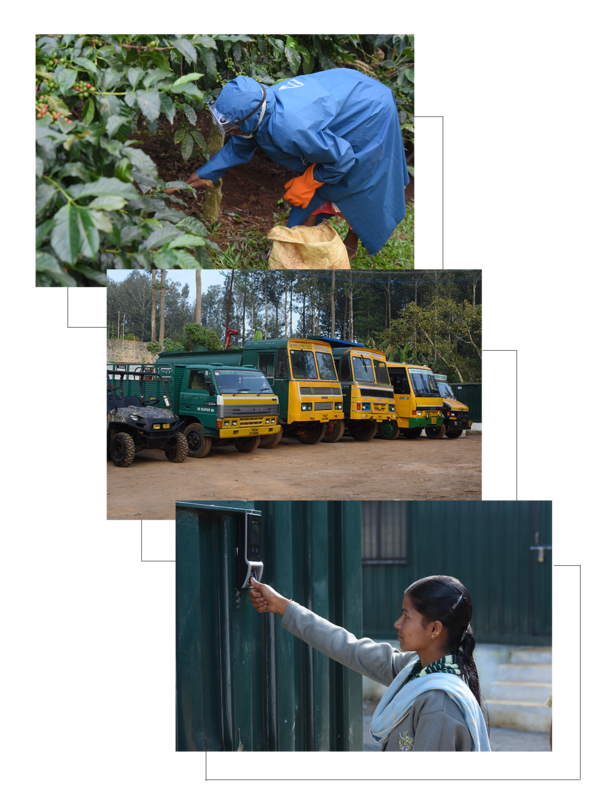 An ideal coffee plantation should have at least one labor per acre to take care of the day to day activities and Thriveni employs around 150 to 200 labor at peak periods. Guided by the Thriveni family & Managed by an efficient management team. Headed by the General Manager, Mr.SPR. Venkatachalam; The Manager of the Estate, Mr. Tamilvanan and an efficient supervisory team. The Estate also employs external Consultants to take care of the estate in such a way that it is on top of the other planting communities in the world. The labor get their due as per the Government norms every time and also gets a liberal dose of perquisites from time to time. Festivals are celebrated on the estate in a grand manner. The labor are transported in a bus from their villages, early in the morning and dropped off in the evening. The mass of the labor are from the local tribal community called the “Malayalee Tribals”.